Manchester-based seventy7 has won a three-year contract to provide content and deliver a new ecommerce shop for PartyLite, the leading premium candle and home accessories brand. The deal - the first to incorporate seventy7's entire range of services - includes digital marketing, branding, photography, creative design, website design and build, studios and production, a web-based internal communications platform and consultancy for each territory over the next three years. “Our aim was to find a business partner who could support us across all channels and help us deliver our ambitious plans for future growth,” said Martin Koehler, global president of PartyLite, a direct selling business with 45,000 independent consultants in 22 countries. “seventy7 came to us with a fully-integrated approach and were able to demonstrate an impressive history of delivering results for some of the biggest brands in the world." seventy7, which also works with the likes of Paperchase and Cath Kidston, rebranded from Photolink and Hungry Tiger in February. 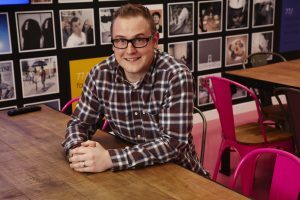 Matt Kerr, account director at seventy7, added: “It’s a huge opportunity to solidify seventy7 as full-service partner to brands who want creative and results-driven content solutions.